Manuel (walking into kitchen): What are you making? Me: (stammering) Uh well, you know what I mean. Want some whiskey? Okay, David, you’ve won. No one has ever convinced me to cook with prunes before. It’s not that I really had the idea that prunes were disgusting, but, well, let’s just say that if they were the last fruit left on earth, I’d probably eat fruit pretty rarely. Blame my mother if you like, but prunes only made an appearance in our household when they were needed for, ahem, curative purposes. And I’ll be the first one to admit that bad associations are hard to break. But I’m the last one to stand in the way of an intrepid culinary experiment to challenge prejudices. In fact, I got pretty excited at the idea of trying to create something fabulous out of something so despised. It wasn’t that easy though. Recipes including prunes are, perhaps not surprisingly, kind of thin on the ground. In fact, I looked through all my dessert books and came up with as many recipes as I could count on one hand. But wait, you’re asking, why not make a savory dish? Sure, prunes pair wonderfully with rich roasted meats and spicy Moroccan tagines, but I couldn’t get over the feeling that putting prunes in a main dish was kind of cheating. It’s easy to hide a lot of weird stuff in savory food – in hot dogs alone we probably consume more animal parts than we could name without an anatomical reference chart. In desserts, however, where simplicity and clean flavors are the order of the day, there’s simply no place for anything questionable to hide. But back to the recipes. Among my prospective prune desserts I had the choice between prune and Armagnac ice cream, a prune and Armagnac soufflé, prunes soaked in Armagnac, and a prune, custard and – guess what? – Armagnac tart. The last option looked the most appealing, if for no other reason than because it’s a creation of Scotland’s own Gordon Ramsay (Didn’t know he was Scottish? Now you do!) and appears in his fabulous book Just Desserts. But in surveying my recipes I became increasingly flustered by one thing: why do prunes only show up when there’s Armagnac around? It’s as if somebody decided at some point that the only way to salvage the prune’s maligned reputation was to always pair it with a sophisticated liquor. But why not sherry? Why not marsala? Why not plain old cognac? I don’t know, but it doesn’t say much for the wonderful eau-de-vie from Gascony that people think its most appropriate home is smack dab in the middle of a prune dessert. And so I decided to defy tradition, however delicious it may be, and take the less trodden path. The Scottish path, to be precise, which naturally involved foregoing French spirits in favor of those distilled closer to home. Into the tarts went prunes that had been simmered in wonderfully fragrant Lady Grey tea and then soused in single-malt whiskey; on top was poured a silky custard of some of those whiskied prunes blended with eggs and plenty of double cream. They emerged from the oven golden, fragrant, and tempting, the quivering custard top giving away no secrets of the pruny depths below. The prunes came spilling out, though, as soon as we bit into them, soft and buttery and slightly raisiny, their complex leathery flavor nicely balanced by the citrusy tea and rich, toffee-scented whiskey. Manuel took one bite and exclaimed, "This is my kind of dessert!". So score one for plune brogging, but am I a prune convert? I don’t really know. I liked the tarts, but there was a little nagging voice at the back of my mind that kept reminding me what I was eating. They were good, but I can’t say they were great. Maybe I just need to work a bit harder on overcoming my prejudices. Then again, I think next time I’ll be just as happy to skip the prunes and devote my full attention to the whiskey. your favorite tart crust, or try this recipe here. Put the prunes and tea in a saucepan, bring to a boil and simmer for one minute. Set aside to cool for 30 minutes. Drain the prunes, check for remaining stones, and place in a bowl. Stir in the whiskey and leave to macerate. Roll out the tart dough and fit it into the pan so that it overhangs the edges a bit. Chill for 20 minutes. Preheat the oven to 190C/375F. Cover the dough with foil and fill with dry beans or pie weights. Bake it blind for 15 minutes. Remove from the oven and carefully remove foil and beans. Put the milk and cream in a saucepan with the lemon zest. Heat slowly until the boiling point, then remove from the heat and stir in the sugar and vanilla. Let infuse for 30 minutes. Cut two-thirds of the prunes into small chunks and scatter over the baked crust. Beat the egg yolks and whole eggs together in a bowl. Remove the lemon zest from the creamy milk. Bring back to a boil, then slowly pour on to the beaten eggs, whisking constantly. Set aside. Put the remaining prunes into a food processor and blend to a pulp. With the motor running, slowly pour in the custard through the feed tube, processing until evenly blended. Pass through a sieve into a jug, rubbing with the back of a spoon to press as much through as possible. Return the tart pan to the oven, pulling the shelf out as far as it’s safe to. Slowly pour in the prune custard over the prune chunks – it should come almost to the top of the pan. Very carefully push the oven shelf back and bake the tart for 50 minutes to 1 hour, until the custard barely wobbles when shaken. Remove from oven. With a sharp knife at an angle, trim the crust level with the top of the pan. Cool to room temperature, then carefully unmold and place on a large plate. Serve with whipped cream, crème fraîche or vanilla ice cream. Hi Melissa,That tart looks amazing! I really don’t know how you do it. I have to tell you that I normally wouldn’t eat prunes, but if you didn’t tell me what this was, I probably would eat the entire dessert myself. =)Here in Hawaii, you’ll often find tiny slices of prune cake given as favors at weddings. Don’t know why, but I find that odd. I copied this recipe and I have a sneaking suspision that my dad (The Southern Pole, haha) – a classic case of Eastern-European taste, is going to love this. Melissa,A delightful post. Great fun to read. haha! your post made me laugh so much! would you like to link blogs? first: i’ve become utterly obsessed with your blog. i can’t stop reading it, i’ve almost missed class because i got lost in turkey. second: when i first heard the phrase "plum pudding" i had something like this in mind. a custardy plum tart, hopefully one that’s both wiggly and kind of purple. i think i’ve been waiting for this very recipe since i was little. i think i’ll try it with fresh plums instead of prunes or maybe a mix. Hi China Moss – Oh dear, I don’t want to be responsible for any academic delinquency on your part, but I am tickled that you’re having such a good time here! 🙂 As for the tart, I would love to hear if it meets your (long-held) expectations. 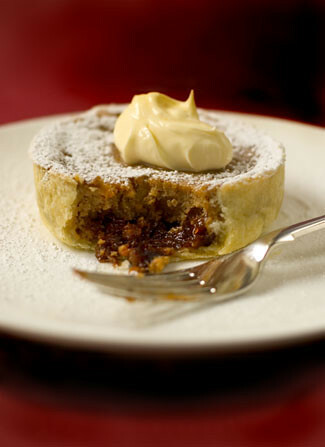 I don’t know if you’ve had traditional plum pudding, but I would certainly take this over the original any day!